Welcome to the May Prize Vault giveaway. 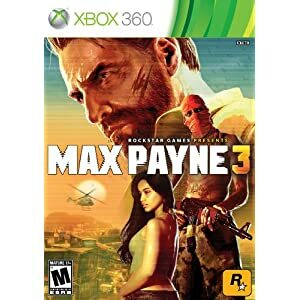 This month one active forum contributor as voted on by the Game Podunk Moderators will win Max Payne 3 for the console of their choice (Playstation 3 or Xbox 360) along with a number of other random prizes! Nice giveaway! 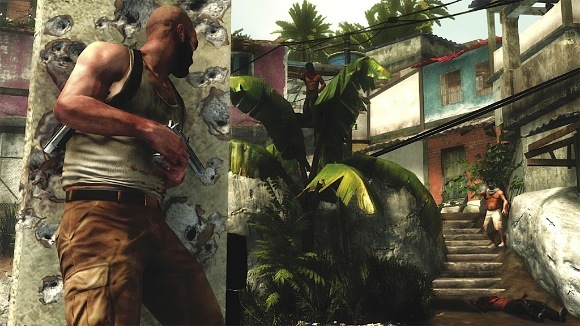 Max Payne 3 should be a really interesting game. Good luck to all! Once again, an awesome prize! Was a big fan of the first two Max Payne games, and despite this looking quite different it still piqued my interest. Kudos to game podunk for offering these contests. They are wonderful perks to being a community member at this site. Good luck to all!! I'm definitely in. Hoping to play the first two in the series too. Good luck all. Good luck to everyone, Max Payne will surely be awesome! So psyched for this game. I'm sure it will do Max proud. Woo! Excited for this game. It's been a long time since I've played a Max Payne game. Looks like I gotta work a little harder to win this. Good luck everyone! Mayb the best poster win! Max Payne is a genre-defining title so I'm glad this contest is in place. Many people forget just how revolutionary Max's bullet-time mechanics were at the time. Even though we had The Matrix, there's no doubt that Max Payne really made kick-buttery a reality. Anyone could feel like an awesome noir-cop in a pulpy action story. Maybe that's why I'm super-psyched for this game! I love this franchise and I will definitely get this game! Is he a Sony character only? I thought max was on xbox too. Awesome giveaway it looks like it will be a great game. I know TK and Cobra have been waiting for this to come out I have been waiting for it too. Yeah he was on everything except Gamecube, but you never know! Yea man, this game looks great. Back then I see Max Payne and I was like, hmm this doesn't interest me. But after hearing more and more about this game. I definitely need to go and get the other two MP games and play them. This game looks great though. @inferno: Very true, he could come on as a third party. That would be nice. You can have two form. One with hair and one without hair haha. I absolutely loved the original Max Payne games, especially the second one, but I don't really think my posting count & quality is very high this month. Thanks for the great giveaway though, and if somehow I beat out everyone else in your eyes feel free to pick me. I just watched a video for the first 20 minutes of Max Payne 3. Definitely looked good. Another awesome prize vault giveaway and good luck to everyone trying for this game. I'm playing it right now and enjoying it even though I've never played the first two games and the only basis I have on the series is that I watched the Max Payne movie for backstory. I played a portion of Max Payne 2 at my friends house and the bullet-time was relatively dazzling to watch and there were a a few funny scenes tha came with all the action like the part where Max goes to open a door and the whole wall around it collapses!!! Undoubtedlly, Max Payne 3's 'Behind the Technology' sported a fair amount of these great leaps you could do in-game and that the character's torso was independent from his legs and so was able to turn and shoot while targeting your enemies and at the same time running away from them. All in all, I believe there is simply one word to describe Max Payne's 3 gameplay mechanics and that is...breathtaking. I'll probably skip the second one to play this new one! It looks quite epic! Anyone have any reasons as to why I need to play the second one? And what platforms is it out on? And people say that it's a dry summer for gaming. Pfft. One of the best I would say: Diablo 3, Max Payne 3, Lollipop Chainsaw, Ghost Recon, Dragon's Dogma, Gravity Rush, Witcher 2 for Xbox, Prototype 2, The Darkness 2, Stawhawk...the list goes on. 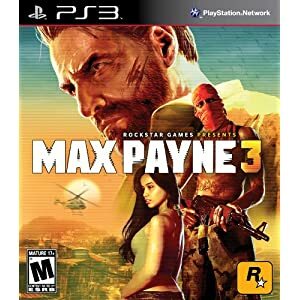 Man, smallpau1, you should play the second one as well if you liked the first one as the second one provides more epic scenes with bullet time and also it continues the story of Max Payne...so I would advise you to get because not only will you learn more about Max but you will have a blast with that game!! !